Studied at and graduated from the Museum School of Clark University, Worcester, MA. Did post graduate work at Instituto Allende, Mexico, then at the Art Student's League in New York City. He was also awarded a Fulbright Fellowship for overseas study in Brazil. Upon returning to the U.S. his work was well received by galleries in New York where he exhibits regularly, and is now recognized as a nationally award-winning artist. 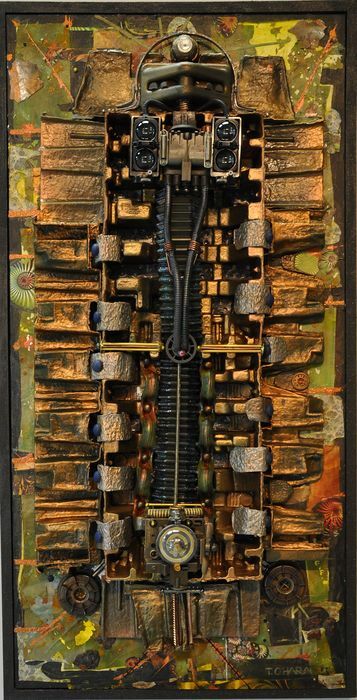 These days Tom's main focus is indoor sculpture and assemblage and he works in an abstract experimental mode.Recently he moved from New York to the Naples, Florida where he currently maintains his studio. Wall sculptures and high relief works constructed of combined materials. 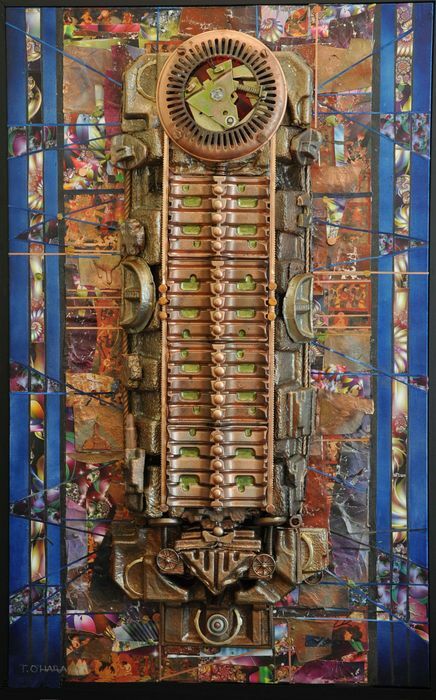 Wall sculpture constructed as a hybrid work encompassing sculpture, collage, and painting. 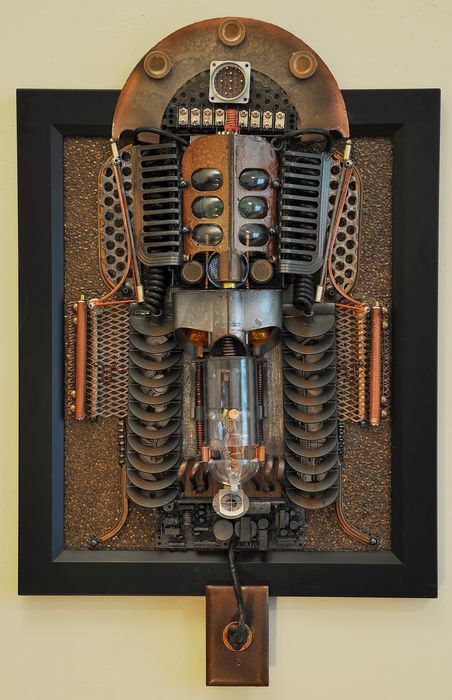 An assemblage of found materials resulting in an electro-mechanical effect. Painted wall sculpture created from found objects, with collage background. Mounted on canvas support.